Today we are excited to feature author-illustrator Lisa Anchin and her book, THE LITTLE GREEN GIRL (Dial Books April 2, 2019). Enter to win a copy! Four years ago, we featured you as an illustrator with a debut picture book. Now you are debuting as an author-illustrator. Tell us how you transitioned from illustration only to authoring as well. First, thank you so much for having me on the blog again! A number of years ago when I was still in school, I met Mo Willems, and he said one of the best things to me of anyone in the industry. I introduced myself as an aspiring author-illustrator. (I’m paraphrasing here.) He said it’s nice to meet you, but you’re not an aspiring author-illustrator, you already ARE an author-illustrator, you’re just aspiring to publish. I always have trouble with questions about transitioning from illustrating to writing because there was never a transition for me. I’ve always written. I’ve been writing my own stories since well before I illustrated my first book. I looked back at the illustrator interview I did with Kidlit411, and at least four of the illustrations posted are from stories that I was working on at that time. I’ve always written; it’s just taken time and patience to find the right home (editor and publisher) for my work. Congrats on your book, THE LITTLE GREEN GIRL. Tell us about it and what inspired you. THE LITTLE GREEN GIRL is the story of a curious topiary girl and a somewhat stodgy gardener. She dreams of seeing the world beyond the garden walls, but her gardener is rooted in his routine. The story is ultimately about growing up, branching out, and exploring with someone you love. This book was born entirely from a sketchbook doodle of a tiny plant girl. At the time, I knew right away that this little character had a story to tell, and I remember quickly filling the page around her with additional character sketches and scratchy story notes. Her story evolved as I doodled, thinking that a little plant girl surely needed a gardener and a garden to live in. How does illustrating someone else's story differ from illustrating your own? I first had the idea for THE LITTLE GREEN GIRL in 2014, so I’ve been thinking about her for the better part of five years. Not every story takes quite so long from first concept to published book, but in my case, I’ve had not only days and months, but years to get to know my characters and their story. All of the books (authored by others) that I’ve illustrated thus far have been rushes. I had only six weeks for final art for one. I’m not less invested in the characters in these books, but the biggest difference for me has been time, and thus depth of knowledge about the world and characters. I know the Little Green Girl’s world inside and out, but then again, I’ve had years to think about it. I’m spending the bulk of my time right now illustrating a picture book for Knopf called “The Polio Pioneer: Dr. Jonas Salk and the Polio Vaccine.” It’s a nonfiction picture book biography about Jonas Salk and a really important historical moment. I’m currently working on final art for the interior. During the odd subway ride or while waiting for paint to dry, I’m also working on a few of my own picture book dummies. I have a couple that I’m revising, one of which is based on another idea I had in 2014. 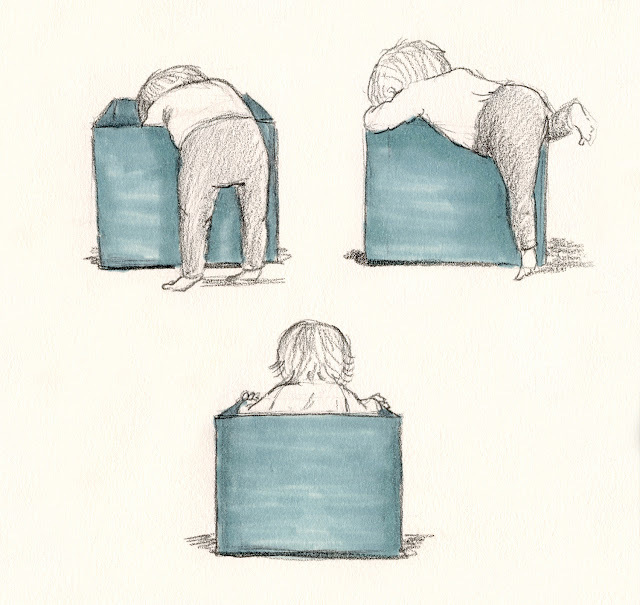 What advice would you give to illustrators who want to also write their own stories? Be persistent and cultivate a writing practice. Writing, like illustrating, takes time, patience, and practice. You have to find your voice on the page the same way you did as an illustrator. Build a daily practice, whether it’s working on morning pages (a writing exercise from The Artist’s Way by Julia Cameron) or daily writing prompts or using your own illustrated images to build written stories, and when you find what works for you, stick with it. What is something most people don't know about you (other than tap dancing competitively, which you told us before)? 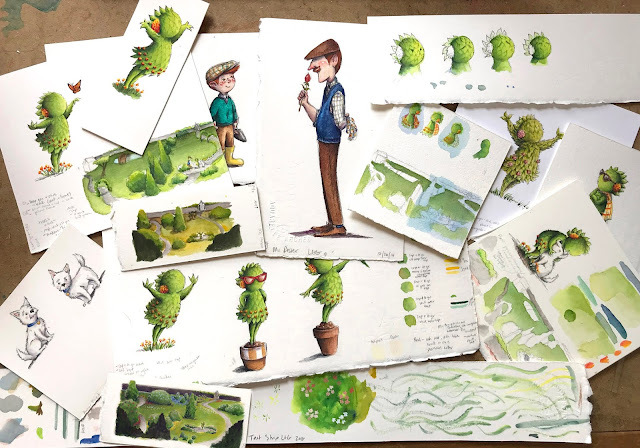 I have a 17 month old daughter, and all of the final art for the Little Green Girl was painted on weekends and during naps when she was 2-8 months old. I’ve also been keeping an illustrated journal/sketchbook about her since she was born. Say hi, and drop me a line! Lisa Anchin has been drawing since she could hold a pencil and making up stories since she could speak. She is often holed up in her studio stringing words together and compulsively doodling, but she also loves meeting other kidlit folks and volunteers as the Illustration Coordinator for SCBWI‘s Metro NY chapter. She is the illustrator of A Penguin Named Patience by Suzanne Lewis (Sleeping Bear Press 2015) and I Will Love You by Alyssa Satin Capucilli (Scholastic 2017). 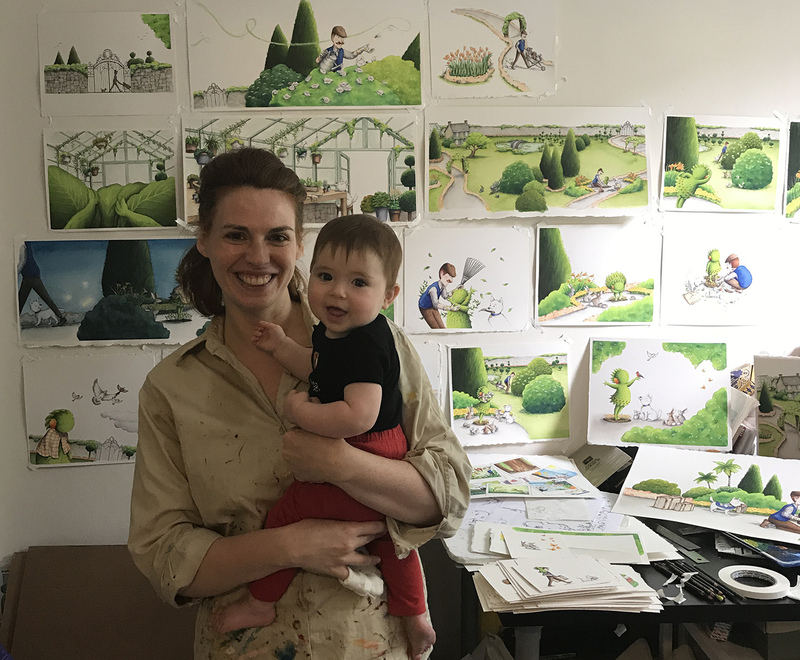 The Little Green Girl (Dial 2019) is her first author/illustrated title. 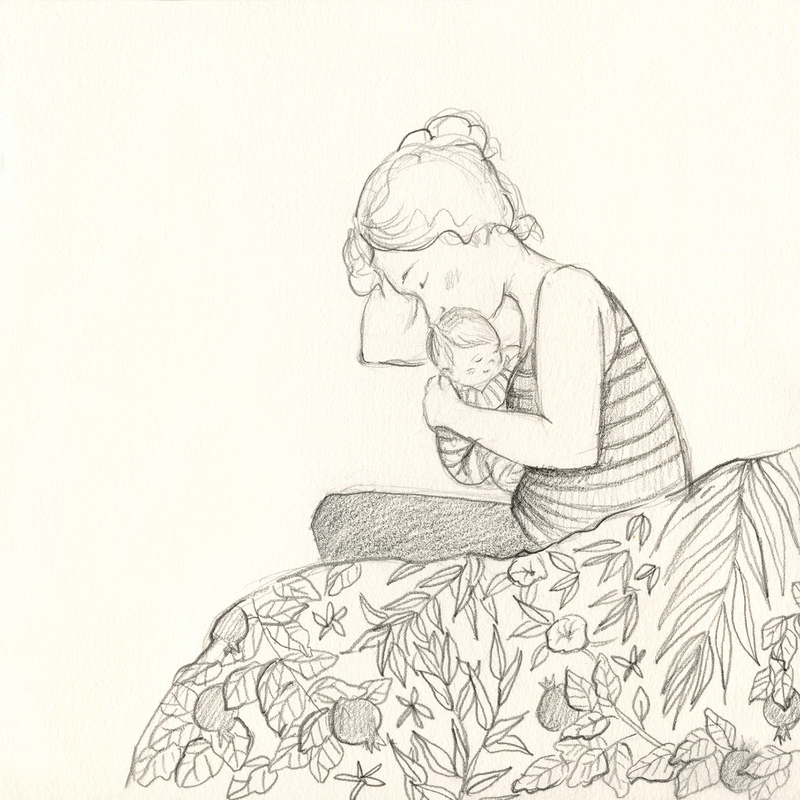 Lisa lives in Brooklyn with her husband, daughter, and their two studio kittens. I love these illustrations and I'm excited to hopefully share this book with my students! Oh my goodness! You had me at “Tiny Plant Girl”! The pictures and story sounds amazing, Lisa. Congrats! Oh, I'm gonna love this book! Can't wait to get it! What beautiful illustrations! I love your encounter with Mo Willems! Congrats on this gorgeous book! So cute! I want to read this! Congratulations, Lisa! This is such a creative idea. I can't wait to see what you did with it. What an amazingly beautiful book! Lisa, what a creative idea to have a little topiary girl come alive. I would love to read your book. I pass a man and lady topiary set driving to and from home. They're even dressed for every holiday and season. What fun! 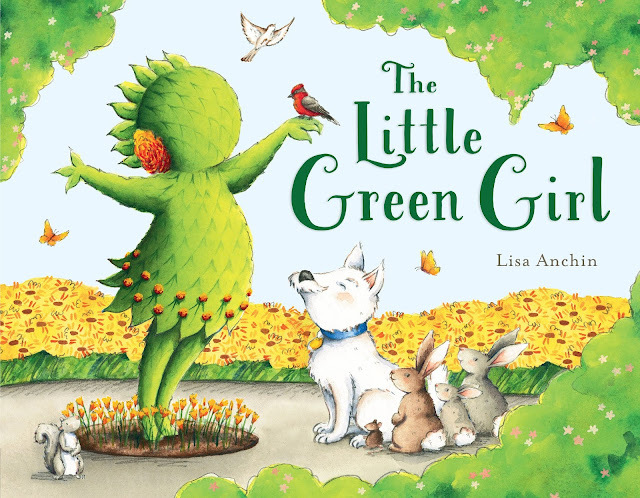 Lisa- The Little Green Girl looks wonderful. Congratulations! Hi Lisa, your art work is beautiful. I love the concept of your story. This book sounds so imaginative and the illustrations are adorable. I love the quote from Mo Williams and it's truly inspirational. Thanks for sharing! I love that cover! Can't wait to see where this goes. Thanks for the chance to win it. The illustrations are simply gorgeous. I couldn't take my eyes off of them. Great job. I apologize if this comment shows up more than once. My Ipad is acting up, so I am back on computer. LOVE this book! Garden plus imagination. Can't wait to read it. Congratulations! Green is my favorite color and there is so much wonderful GREEN-NESS on these pages! I can't wait to read this book! This is such a unique idea. Congratulations! What a lovely concept and book! Reminds me of The Snow Child. We love a good gardening book for our kids. Congratulations on your author-illustrator debut, Lisa! I love the idea of this book! 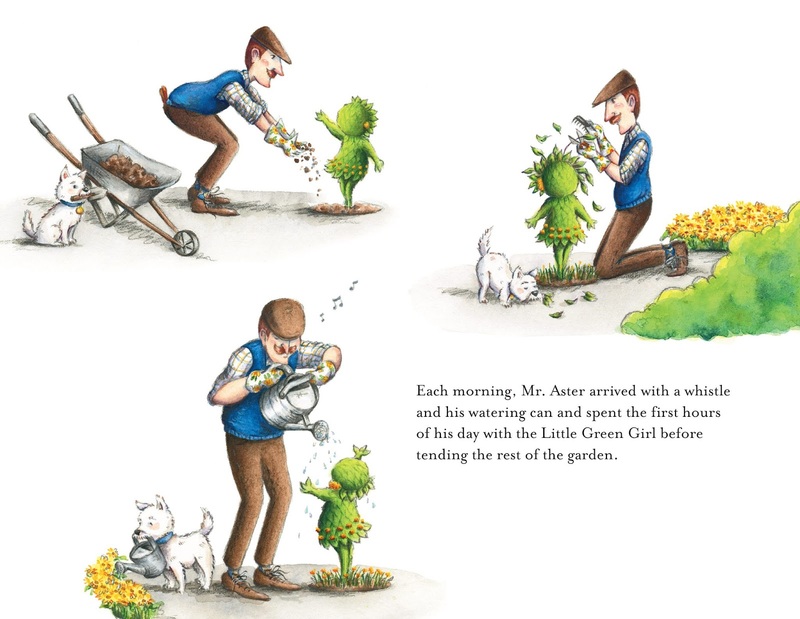 I love the dog in the illustrations how he's helping grow the Little Green Girl by watering and with the shovel. Too cute! Congrats on the new book! !